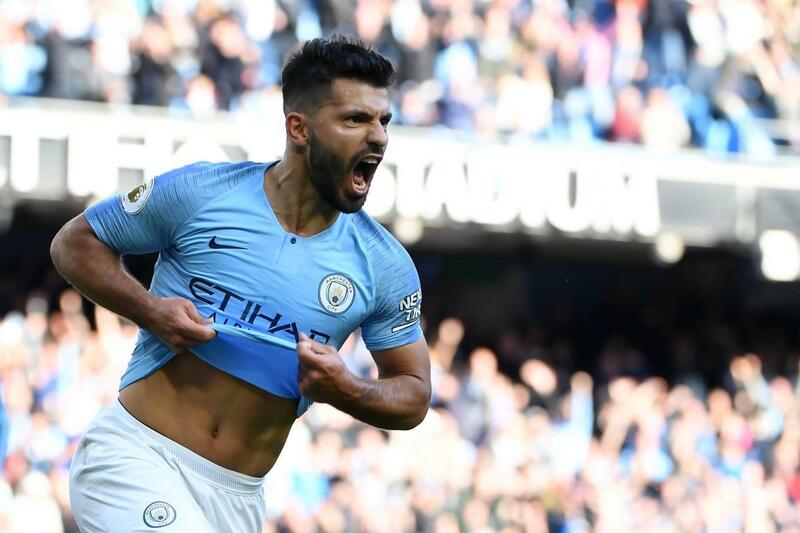 Sergio Aguero scored his 148th Premier League strike for Manchester City as the Blues returned to the top of the table after beating Brighton 2-0 on Saturday. Goals from Raheem Sterling and Sergio Aguero sealed their 3points. The champions took almost half an hour to break the stubborn resistance of Chris Hughton’s Seagulls – but once they did the result was never in doubt. Just before the half hour, the breakthrough arrived as Sergio Aguero opened up the defence to send Sane away down the left. That goal put him level with Alan Shearer in third place on the list of Premier League goals for a single club with 148. Only Wayne Rooney and Thierry Henry are above him.